Come with us to Morocco! Souks, spices and the sea! Trek the High Atlas Mountains and step back in time while you sink deeply into the Berber way of life! Explore off the beaten path Morocco on our journey to some of the most spectacular and remote regions of the country. Souks and spices will fill your senses before we take you into the High Atlas mountains for some of the best trekking in Northern Africa. Sit with local Berber families and share experiences over mint tea. Shop for fresh vegetables in the local markets and learn to make delicious Tajine from what you buy! Step back in time, while your photography reaches new heights. It's easy, when you are on top of the world! The goal of Project Soar is simple: to empower Moroccan girls through creativity and inspirational support. We help keep girls in school, breaking the cycle of girl marriages and girl motherhood. Project Soar has worked with more than 250 Moroccan girls, providing over 1000 hours of after school programming and support in the arts, sports, tutoring, health education, leadership and life skills. Camera equipment, layered clothing, warm outerwear, rain jacket, bathing suit, school supplies for children, small art supplies, extra reading glasses. Comfortable, some strenuous trekking and walking. Accommodations comfortable boutique hotels All have full western bathroom facilities. Dreams of Trespass: Tales of a Harem Girlhood. Travel Day. Welcome to Marrakech Morocco! Up early to have a dawn walkabout with Nance in the souk, then meet the team. We will be heading out to the Medina, the Jewish Market and afterwards treat you to an authentic local Hammam bath and massage. Say goodbye to several layers of your skin! Photograph the warm evening magic light in the ancient city before dinner. We head out, after breakfast, to the High Atlas Mountains and will be met, on donkey, by our friend, Jacquline who owns a traditional Berber home We visit with Berber families on the way to our amazing oasis in the mountains. We'll have an evening photo class as the sun sets. Up at dawn to visit the village and after our morning photo class, get your hiking boots on and be prepared for stunning vistas, authentic visits with Berber villagers and a real immersion into Moroccan village life. We trek to the summit of Outosse, then down into the village of Armed for a portrait class in magic hour light. We visit a local market at dawn as the vendors set up for the day and head back to our cozy home in the mountains to relax before heading out in the afternoon to do a small giving back project with the village children. The villagers here helped Jacquline build Douar Samra and she is committed to her community. We say goodbye to the High Atlas and travel on to Essaouira, once the port that served Timbuktu! And along the way keep your eyes peeled for goats in Argan trees. Yes, you read it correctly! We'll have our evening photo class around the pool. Ahhh Essaouira! The souks, the sea and spices. We photograph craftspeople creating the famous Moroccan mosaics, jewelry and Thuya woodcrafts. In the afternoon enjoy the beach, shop or take an optional cooking class! After an early breakfast we will head out to Had Draa, one of the largest rural markets in Morocco. Animals (including camels) have been traded here for centuries. After the market we will head back for lunch, then a cooking class or a swim! 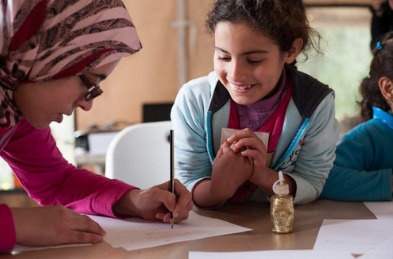 After taking the morning to edit your amazing images, we'll spend the afternoon visiting Project Soar, an amazing NGO dedicated to giving opportunities to Moroccan girls, and we'll offer a short photo/art workshop. Our giving back projects are the highlight of all of our trips! Final Cocktail Reception and show of all your work! Depart to airport for flights home. Travel safely! We will miss you!